Dr Andrew Ross (1829-1910) was born in Scotland. An army surgeon, he arrived in Sydney in 1857 and subsequently served as an alderman and magistrate, district registrar for Births, Deaths and Marraiges, coroner and government advisor. He was elected to the Legislative Assembly of NSW in 1880. 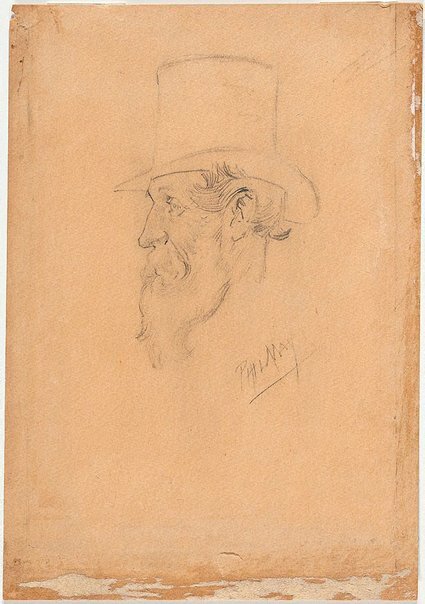 Signed l.r., pencil "PHIL MAY". Not dated. Hendrik Kolenberg, 19th century Australian watercolours, drawing and pastels from the Gallery's collection , 'Introduction', pg. 6-16, Sydney, 2005, 15, 80 (colour illus. ).